HTC is doubling down on virtual reality with a new headset that's double the price of its primary rival's device. 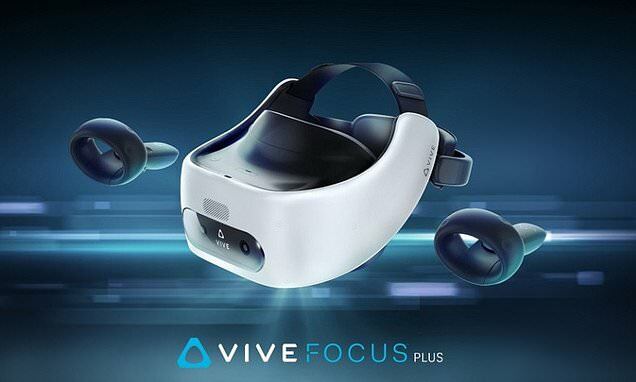 The Taiwanese electronics giant announced that its newest VR headset, the Vive Focus Plus, will land in stores on April 15th. It's targeted for the enterprise market and is priced at $799 - a significant step-up from Facebook's recently released Oculus Rift S or Quest headsets, both of which cost $399. After teasing the device last month, HTC officially launched the Vive Focus Plus at its Vive Ecosystem Conference in Shenzen, China. The Vive Focus Plus' improved optics are due to the device's 'Fresnel' lenses, HTC said. 'Designed to meet the needs of enterprise customers, Vive Focus Plus has new fresnel lenses which offer a sharper visual to reduce any screen door effect,' the company said in a statement.